Are you a fan of poetry? My phone is full of screenshots of passages and quotes, till I had to make a separate Instagram account just to have a place to archive all of them. HA. A little obsessive I know! But they're all meaningful. Some are humorous, most inspirational, others deep. But what ever feelings they provoke they all speak the truth. 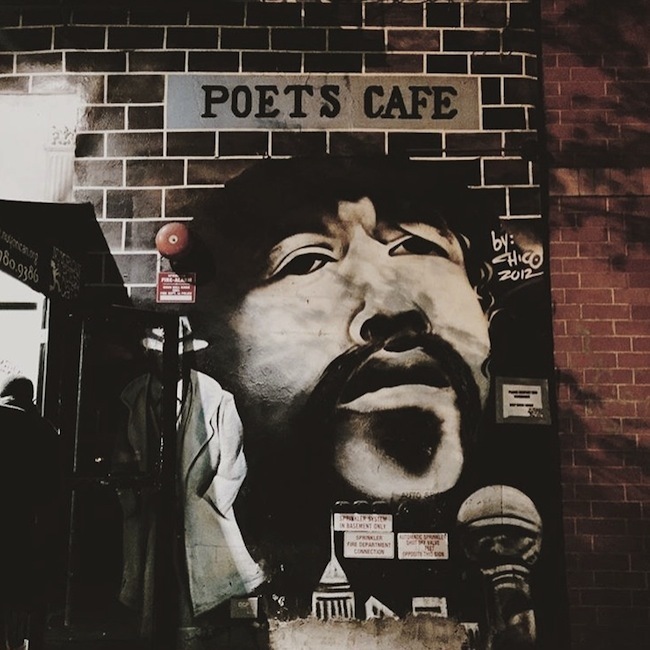 On Friday night I was invited to Nuyorican Poets Cafe poetry slam. It was my first time and I loved it! Something different that left me leaving feeling so enlightened and cultured by the beauty of words from a group of such talented poets. Who knew words could be so moving. It makes a great night down in the Lower East Side. Low key atmosphere, along with music, drinks and good vibes. I think I'm going to be a regular here. See you there? Just in the audience, no pressure to be on stage! HA. Catch the poetry slam competition on Wednesday or Friday nights. Buy tickets in advance because they sell out fast, and you don't want to get your knickers in a twist!